The images in the gallery below, illustrations by Alice M Cook for ABC ([London]: T. Nelson & Sons, , were taken by Helen at Living, Libraries and [Dead] Languages and are reproduced here with her kind permission. 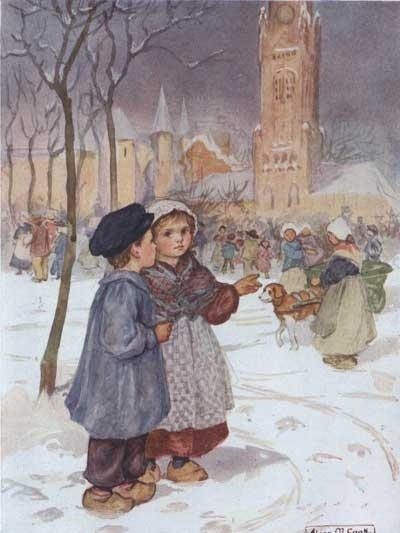 I’ve put together a (very little) PinInterest Board, Alice May Cook (nee Barnett), Book Illustrator and Artist, where you can see a small collection of images of her work. These are very preliminary notes on Alice May Cook. Please comment away to add more information if you can, or pointers to sources. [ii] Ernest Nister (1842-1909) had a lithographic workshop in Nürnberg, Germany which printed books for the London market. He became a publisher in his own right in 1888 with offices at 24 St. Bride Street, London. Nister originally specialised in high quality colour printing for children, adding movable books with various mechanisms from 1890 onwards when be published his first stand-up book. 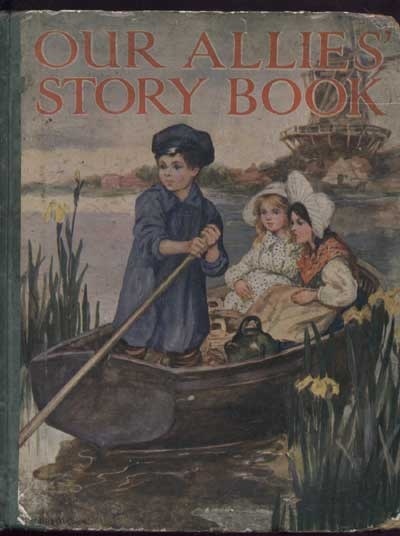 Nister also published numerous picture books, annuals, poetry, nursery rhymes, calendars and greetings cards.